Something's afoot -- a sewing machine foot, that is! 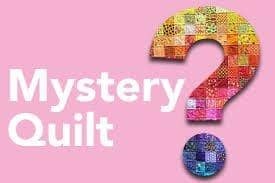 You'll make new friends and a mystery throw-sized quilt top in this fun class! We'll provide refreshments, and fabric; you just provide your sewing machine. Fabric included; several colorways available.